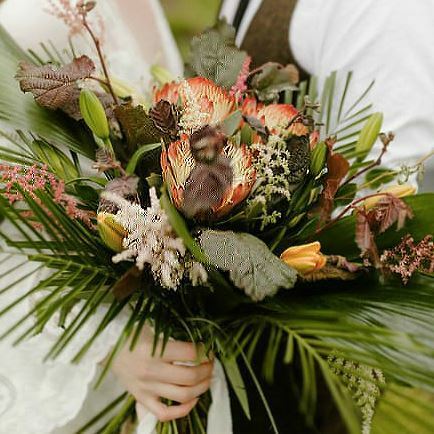 Tropical Boho style bouquet with african protea and more. Size cca 100cm. 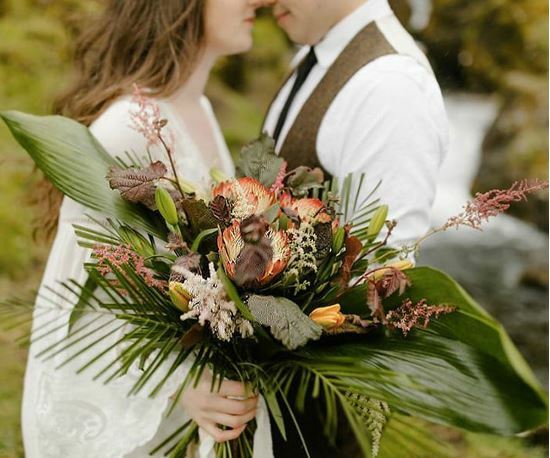 Tropical Boho style Wedding bouquet with african protea dark orange red flowers, orange lilies, palm leaves, aspidistra leaves ....and more. 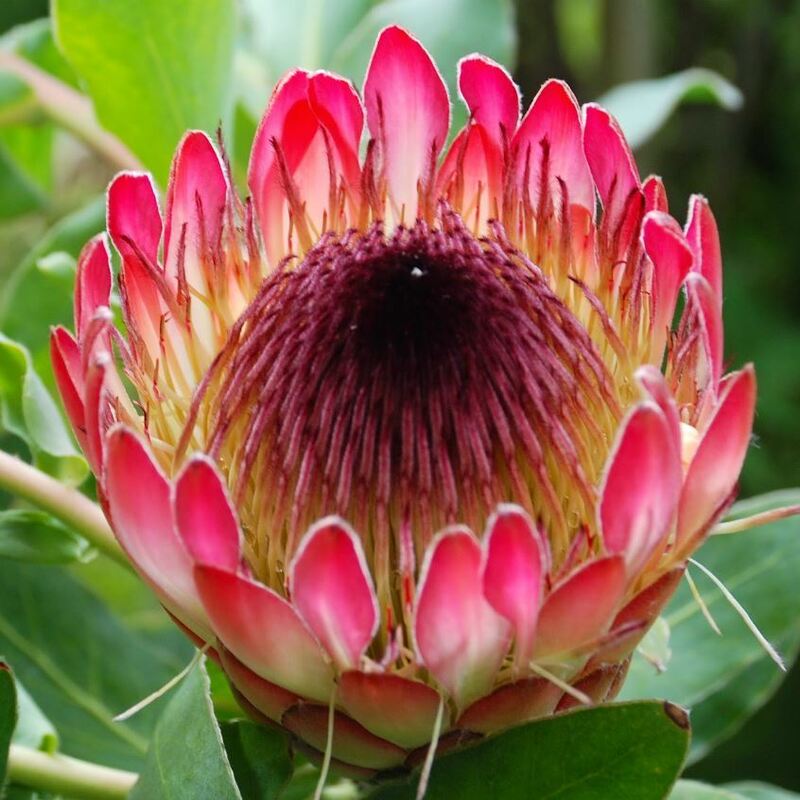 Size of the bouquet is approximately 100 cm. Bohemian chic wedding style is so relaxed, peaceful yet very eye-catching at the same time. Most of boho brides love to choose wild looking flowers because this naturalness. Boho style Wedding bouquet with roses, veronica and more. Wedding bouquet with a blend of peachy-pink, white and cream blooms. This wedding bouquet is dreamy and romantic in just the right way to celebrate this special day of love, commitment, and new adventures. 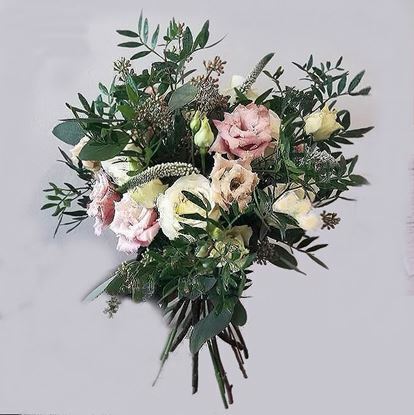 Blossoming with of peachy-pink, white and cream blooms, including cream colored roses, white veronica, stunning eustoma and more, this romantic arrangement is accented with pistacia, eucalypthus berries and more. Truly elegant, and styled to create that perfect wedding look. Bouquet is Approx. 14"H x 14"W.